These demonstrate that you have a set of skills for a particular occupation. The length of time required varies by occupation, ranging from six months to less than two years. Certificates are available in subjects like auto mechanics, welding, and cosmetology. These are two-year degrees that provide preparation for a career or for a transfer to a four-year college or university. Examples of careers that require an associate’s degree are dental assistant, teacher assistant, and electromechanical technologist. Students can also earn an associate’s degree, then transfer to a four-year school to earn a bachelor’s degree. A bachelor’s degree is awarded after four years of study at a college. The Bachelor of Arts (BA) and Bachelor of Science (BS) are the most common, and both require general education courses, a major, and electives. This degree is also called an undergraduate degree. A master’s degree is an advanced degree earned in a specialized field after the completion of a bachelor’s degree. Most master’s degrees take one to three years of full-time study and include writing a thesis or taking comprehensive exams. Common Master’s degree programs include School or Personal Counseling, Business Administration, Social Work, Physical Therapy, Public Administration and Education. A doctoral degree, also known as a doctorate (PhD), is the highest educational degree you can earn. A doctoral degree indicates expertise in a specialized field. Doctoral programs typically range from 5-7 years in length and include academic courses, and research and writing a dissertation. While students that enter a doctoral program after completion of a bachelor’s degree will spend 5-7 years in the program, others may enter after completion of a master’s degree and will spend 3-5 years to complete the program. Professional degrees are advanced degrees in fields like dentistry, ministry, law, medicine, pharmacy, and veterinary medicine. These degrees are earned after completing a bachelor’s degree, and the length of study required for each profession varies from 2-5 years. A certificate program is a structured set of courses and requirements in a defined area at the graduate level and is generally less demanding than a degree program. Credential programs prepare individuals to provide service in California public school settings. Credential programs are regulated by standards set by the state of California. There are essentially four facets of post-secondary education in California: the 10 University of California (UC) campuses; the 23 California State University (CSU) campuses; the over 100 Community Colleges (CC); and the hundreds of private universities and colleges. As you begin your college education at the community college, you have many options for future educational opportunities. Created by legislation in 1967, it is the largest system of higher education in the world, serving more than 2.5 million students with a wide variety of educational and career goals. Campuses: There are 110 community colleges in California at present, each of which offers various degrees. Time to Degree: Community colleges are “two-year” schools, in that two years is the average length of full-time attendance in which to achieve an associate’s degree. Many students, however, take three years or longer to attain a degree. Students may also attend simply for enrichment purposes or to earn a certificate in a specific program (i.e., computer programming). Student Profile: Entrance requirements are generous and are meant to encourage students who hope to transfer to a four-year school and students who are not on a traditional degree track. To this end, anyone who has a high school diploma or its equivalent (such as a General Educational Development [GED] diploma), or is at least 18 years of age, may attend a community college. Both CSU’s and UC’s coordinate their courses to make transfer to the other institutions easier. Many students who transfer to a UC or CSU school as juniors have completed their general education requirements at a CC. Needless to say, the student body at CC’s is very diverse in terms of age, ethnicity, preparation for post-secondary work, and area of interest. A specific occupational /vocational program is selected and courses are completed from the list in the college catalog for that skill area. Examples include Automotive / Diesel Technology, Cosmetology, Criminal Justice, Drafting Technology, Culinary Arts, Child Development, Heating and Air Conditioning, Medical Assisting, etc. General education courses are not required; the focus is earning a certificate to prove proficiency in your occupational area. Most certificate programs range from 18-30 units, however, some more specialized certificates contain much higher units. A community college Associate of Arts degree program is also available. The Associate Degree is granted upon completion of 60 college units, general education courses, a major (or certificate program) and a 2.0 grade point average. Each community college has their list of required general education courses. Majors are completed from lists provided in the catalog. Lower division university course requirements can be completed at a community college. Students may then enter a four-year college as a junior to complete their bachelor’s degrees. There are two general education transfer patterns at each community college, CSU and IGETC. Students must have 60 transferable units, complete the general education courses, maintain the grade point average required for the campus they select, as well as meet prerequisite coursework for their major. Prerequisite coursework for most all majors is available at the community college. Any member of the community can enroll in coursework at the community college for general interest in the subject, personal enrichment, or career advancement. In addition to traditional academic courses, many community colleges offer Community Service programs, which are geared toward the community, and provide programs appropriate for all ages. Fees and tuition: California Community College enrollment fees are set by the California State Legislature’s office. Current fees for California residents are $20 per academic unit, plus additional campus-based and course-based fees. A full-time student enrolled for 12 units per semester would pay $480 in enrollment fees per year plus additional campus based fees. On average, CCC students yearly fees are less than $750. Non-residents are be assessed out-of-state tuition of $181 per academic unit in addition to the enrollment fees. The University of California is one of the world’s largest and most distinguished centers of higher education. The faculty numbers over 5,000 and enrollment this year will total over 125,000 students. The University of California offers more than 200 undergraduate majors drawn from a vast array of courses that range from anthropology through zoology. Your academic experience at UC will be rigorous, challenging, and stimulating. UC campuses are the only branch of the California public school system that grants Ph.D.s; most doctoral degrees are given solely by the UC, but some are offered in conjunction with certain CSU departments. Academic Calendar: All UC campuses, except Berkeley and Merced, operate on the quarter system. A quarter is about 10 weeks long, and the academic year includes three quarters. At Berkeley and Merced, the academic year is two semesters, each 16 to 18 weeks long. Time to Degree: 4 years to BA or BS degree; most students now take 5-6 years. Students that transfer from the community college to the university will take on average 2-3 years to reach the BA or BS degree. Student Profile: Students from among the top 12.5% of high school graduates are eligible for admission to UC campuses. Over 10,000 students transfer from a California Community College to the UC each year. Units: Complete 60 semester units or 90 quarter units of transferable college credit (no more than 14 semester/21 quarter units may be taken Pass/Not Pass). Grade Point Average: The minimum grade point average for eligibility to the UC system is a 2.4 overall. Many campuses require much higher GPA’s for admission selection. Four transferable college courses (3 semester or 4-5 quarter units each) chosen from at least two of the following subject areas: the arts and humanities, the social and behavioral sciences, and the physical and biological sciences. Major Preparation: Each student should have sufficient preparation in their major to study at the junior level of university coursework. Lower division major preparation can be required prior to admission for selective majors and campuses. Students are encouraged to meet with a counselor to determine the type and amount of coursework needed for their major and campus choice. Some majors have additional requirements beyond coursework – please check the university catalog for more information. Application Filing period: Filing period for admission is November 1 through November 30 for the following fall semester; July 1-30 for the following Winter quarter. Some campuses only accept fall admissions. A few campuses will remain open beyond the posted deadlines. Junior-level community college students receive priority consideration for admission over other transfer applicants, including those from four-year institutions and UC’s own intercampus transfer students. The CSU is a leader in high-quality, accessible, student-focused higher education. With 23 campuses, 405,000 students, and 44,000 faculty and staff, the CSU System is the largest, the most diverse, and one of the most affordable university systems in the country. Doctoral (Ed.D. only); Select Campuses only; Ph.D jointly conferred with the UC system (Chico, San Diego, Los Angeles, Long Beach, and San Francisco). Application Filing period: Initial filing period for admission is October 1 through November 30 for the following fall semester; August 1-30 for the following Spring semester. Some campuses will remain open beyond the posted deadlines. CCC students receive the highest priority consideration for admission to the CSU. 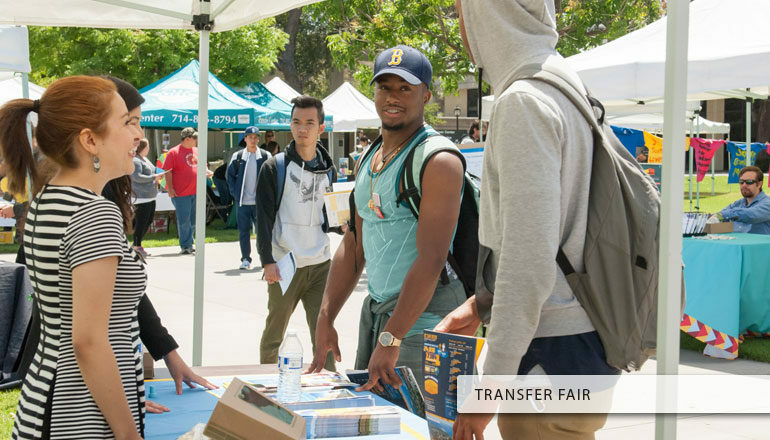 The majority of transfer students from the California Community Colleges enter the CSU as upper-division transfers. Degrees Awarded Bachelor’s, Master’s, Doctorate, Professional degrees. Teaching Credentials. Bachelor’s Master’s, Ed.D. at selected campuses. Teaching Credentials. Non-Residents are required to pay out-of state tuition. Varies – Refer to individual catalog. Take advantage of this great opportunity to check out different campus environments to help you in choose the university that is right for you. Science) degree. Normally requires 2 years of full-time study but may take longer. 120- 132 total units required. Usually referred to as a BA (bachelor of arts) or BS (bachelor of science) degree. Normally requires 4-5 years of full-time study. Students may complete the Freshman and Sophomore years (lower division) at a community college and then transfer to a 4-year university for Junior and Senior (upper division) courses. degree. Units vary, depending on field of study. Usually referred to as Doctor of Philosophy (Ph.D.) or Doctor of Education (Ed.D.). Normally requires three to five additional years of full-time work after completion of Master’s Degree. The major is the principal field of study for a university student. This is where a student develops the greatest depth of knowledge. All students are required to designate a major or field of study when transferring to the university. For transfer students, introductory coursework (often called lower-division / prerequisite coursework) in the major is completed at the community college prior to transfer to the university. As well, you can check ASSIST for current UC and CSU transferable coursework, CSU GE Breadth and IGETC courses, and coursework that meets the CSU US History, Constitution, and American Ideals requirements. What is a General Education? General Education is a series of coursework in the arts and sciences that provides students with a broad educational experience. Courses typically are introductory in nature and provide students with fundamental skills and knowledge in mathematics, English, arts, humanities, and physical, biological, and social sciences. Transfer students take these classes while attending a community college. Completion of a general education program is required for the baccalaureate degree. Certification is an indication of the completion of the entire pattern of general education for the California State University (CSU General Education Breadth) and/or University of California campuses (Intersegmental General Education Transfer Curriculum “IGETC”). This is often notated on the transcript, or can be included with the transcript as a “Certification Form”. Students must request certification on their transcript. Certification allows students to satisfy their lower-division general education requirements by following the approved community college curriculum rather than the university’s lower-division general education pattern. Students must still complete upper division general education and campus-specific degree coursework after transfer. Is completion of IGETC / CSU GE-Breadth required for admission to the UC or CSU? No. Students are not guaranteed admission to any campus on the basis of completing general education coursework. Completion of the lower-division breadth requirements does however may improve a transfer applicant’s chances of admission to a competitive campus and/or program. Can a course be used to satisfy more than one GE Category? No. While a course may appear in more than one general education category, it can only be used to satisfy the requirement in one area. Can a course be used to satisfy both General Education and Major requirements? Yes. A single course can meet the requirement for both general education and major requirements. Is there a GPA requirement for the IGETC Pattern? Yes. IGETC coursework must be completed with a grade of “C” or better. Grades of “Pass” or “Credit” will be accepted when a passing grade is equivalent to a “C” or better. “C-“ grades and “D” grades are not acceptable. What about the CSU Breadth Pattern? The CSU GE Breadth requirements stipulate that grades of “C” or better must be achieved in areas A and B4, as well as coursework in 30 of the 39 units of the general education pattern. Grades of “Pass” or “Credit” will be accepted when a passing grade is equivalent to a “C” or better. Can I use Advanced Placement scores for IGETC or CSU GE-Breadth? Yes. Official Advanced Placement scores must be received from CollegeBoard for these to be used in either general education pattern. In most instances, scores of “3” or better will be granted course/subject credit. See GWC Catalog for a listing of AP tests, scores, and approved credit. Are CSU GE-Breadth and IGETC Certification the same? No. While similar, there are some key distinctions between the two patterns. IGETC has a foreign language competency requirement that can be met in a variety of ways. Most students will satisfy this requirement with either two years of high school foreign language with grades of “C” or better, or one semester of foreign language at the college level. The CSU GE-Breadth requirements include an oral communications course, as well as the graduation requirement of U.S. History, Constitution, and American Ideals. This graduation requirement can be met at the community college and can be included in the general education coursework. course requirements for all areas of IGETC must be completed and certified by a California community college to be accepted by CSU or UC. Which General Education Pattern should I choose? It depends. If you plan on applying to both the UC and CSU, then the IGETC is an appropriate pattern as it meets the requirements for both systems. If you are only seeking transfer to the CSU, then you can follow the CSU GE-Breadth requirements. Are there exceptions to who will accept IGETC? Yes. UC Berkeley’s Hass School of Business, and UC San Diego’s Revelle and Roosevelt colleges will not accept IGETC. Please see a counselor regarding the general education requirements for these campuses. Can I use coursework from any college to meet the IGETC or CSU GE-Breadth requirements? Yes. A community college can included courses from regionally accredited colleges and universities to meet IGETC requirements if the coursework is evaluated and deemed to be equivalent to that of the community college course. Is IGETC Certification or CSU GE-Breadth Certification automatic? No. A student must request certification. At Golden West College, this request for certification is located on the transcript request form. Can any student complete IGETC or CSU GE-Breadth at the Community College? Not all students can use IGETC or CSU GE-Breadth to satisfy their general education requirements. A student who entered a UC or CSU as a freshman, is now attending the community college, and plans to return to that same institution may not be eligible for the IGETC or CSU GE-Breadth. Please see a counselor if you have previously attended a UC or CSU and want to return to the same campus. varies. A series of special major courses, all related to a particular occupational skill. Offered by community colleges and private educational organizations. This course of study can be helpful in obtaining or upgrading employment. specialized area. Bachelor’s degree plus 36- 56 units depending on major. Usually referred to as MS (Master of Science) or MA (Master of Arts) degree. This degree normally requires two additional years of full-time study after completion of bachelor’s degree.